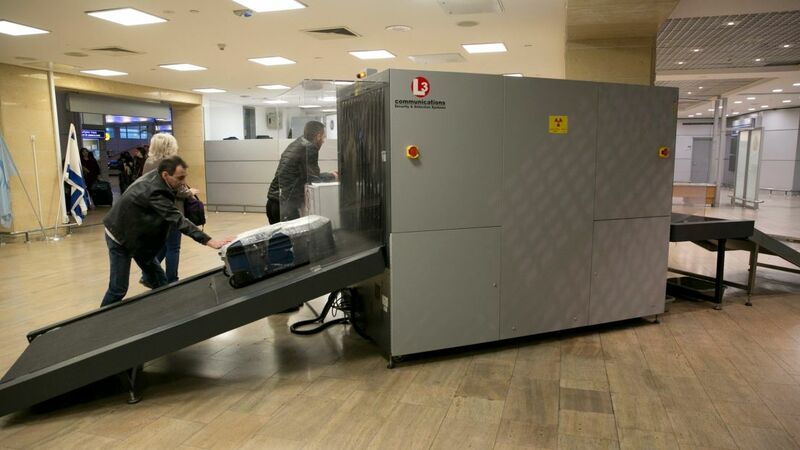 An Israeli man arrives at Ben-Gurion International Airport from Ukraine. He grabs his suitcase from baggage claim and heads for the green customs lane. He almost makes it through. “Sir. Sir!” He ignores it at first, but as the calls continue, he is compelled to glance at the beckoning customs officials. “Come here, come here,” they say. He is led to a table, where his bag is opened. There are five cartons of cigarettes inside. The duty-free limit is one carton. A single undeclared carton of cigarettes will run you dear. The fine for each carton above the limit is 500 shekels ($146) — half for trying to smuggle and half for the cigarettes. “So put the cartons in my kids’ names,” exhorts the man. Around 10 million people pass through Ben-Gurion International Airport every year. Yoram Aharoni, a customs shift manager, estimates that 99% pass through the green “nothing to declare” lane while only 1% go through the red lane. Every year, around 12,000 passengers are caught smuggling. Suspect baggage is X-rayed, and they don’t spare the backpacks. “That’s where the best stuff is,” says Aharoni. If something suspicious is spotted, the bags are opened. “We’ve heard it all, every excuse, every curse, but we’re just doing our jobs,” Aharoni says. 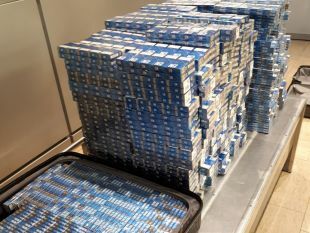 Cigarettes make up the vast majority of would-be smuggled items. Since taxes were reduced on alcoholic beverages and smartphones in Israel, there has been less smuggling of them, though after the launch of the iPhone X, around 50 devices were apprehended. When caught trying to smuggle in permitted items without paying customs, passengers can either pay the fine and the customs or, if after doing the math they decide the customs fee is too high, to pay the fine only and leave the goods behind. Abandoned items are warehoused and, if not claimed within three months, sold at auction. Abandoned cigarettes are destroyed. It’s permitted to bring in up to 100,000 shekels without declaring, but the amount is about to drop to 50,000 shekels. “The craziest case I ever encountered was an Israeli returning from Scotland, where she’d visited a ‘cursed castle.’ We caught her with dirt from the castle, which she intended to strew next to her ex-husband’s home,” Aharoni tells. He says that Christian pilgrims from Nigeria occasionally try to smuggle in fish, which they planned to eat while in Israel. 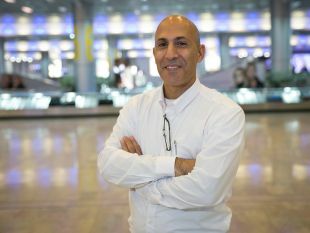 Once summer was the high season but the advent of low-cost flights means the year has multiple peaks, says Aharoni — and it’s easy to find “mules” online. People offer to pay for a few days’ vacation in exchange for smuggling something into Israel. “Tourists coming for a three-day vacation get caught with suitcases full of cigarettes,” he says. The customs people perk up when flights come in from the former Soviet states. Mules may try to hide their origin by taking connecting flights through Europe, or to “infiltrate” a pilgrim tour group by sticking close to it in the airport. “You sometimes see a group of pilgrims from Africa joined by a blond tourist,” Aharoni says. Some people try to hide their nerves by suddenly taking out their cellphones, or plugging in earphones, when passing through customs. They pretend not to hear when called over. “A lot of people even claim to be color-blind. Caught in the green lane, they say they thought it was the red lane,” Aharoni relates. And at least these days, the abuse is largely confined to the verbal, he says. Flight crews are also subjected to random customs checks and they too get caught. One enterprising El Al flight attendant landed from Bangkok with a Bengal tiger. An Aeroflot attendant tried to smuggle 100 cartons of cigarettes and fainted from the stress when her suitcase was opened, Aharoni tells. Ethiopian Airlines crew members have been stopped for trying to smuggle spices from the homeland into Israel. People suspected of smuggling something on their bodies are passed fully clothed through a full-body X-ray. Catches include drugs, jewelry and even rare birds hidden in their pockets or even in jars. All this said, Aharoni feels that over the years, there’s been something of an improvement: that people are learning that crime does not pay. A bird in hand is not worth two of that value in fines.